Even though Hurricane Chris was downgraded to a post-tropical cyclone on Thursday, it will cause rough surf along coastal waters. 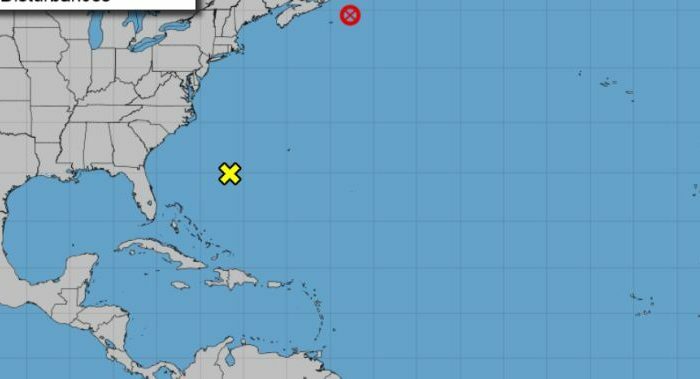 Seas 10 feet or greater could pose hazards to small vessels, shipping, and cruise interests in the northwestern Atlantic Ocean, according to the U.S. National Hurricane Center. “Even though Chris is moving away from the United States, swells generated by the storm will affect portions of the coast from North Carolina northward to New England during the next couple of days,” the agency stated. The storm is currently about 290 miles east of Halifax, Nova Scotia, Canada, and 275 miles southwest of Cape Race, Newfoundland, Canada. It has maximum sustained winds of 70 mph and is moving at 36 mph in a northeastern direction. Currently, there are no coastal watches or warnings in effect. Chris became the second hurricane of the 2018 season.